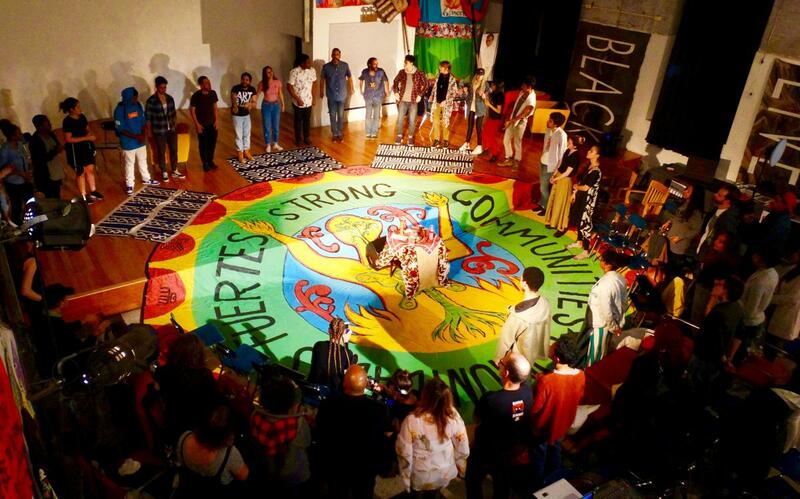 In this spirit, we invite you all to join the El Puente community as we launch a year long legacy tribute to Luis which will include a series of events and actions highlighting the crucial social justice agenda and human rights initiatives he devoted his life to, and that El Puente continues to forge. It is our hope that all of you who have been, and continue to be, part of this rich legacy will have the opportunity to share, vision and celebrate with us. The year long legacy tribute will culminate in a public “Celebration of Life” memorial on his birthday in March 2020. 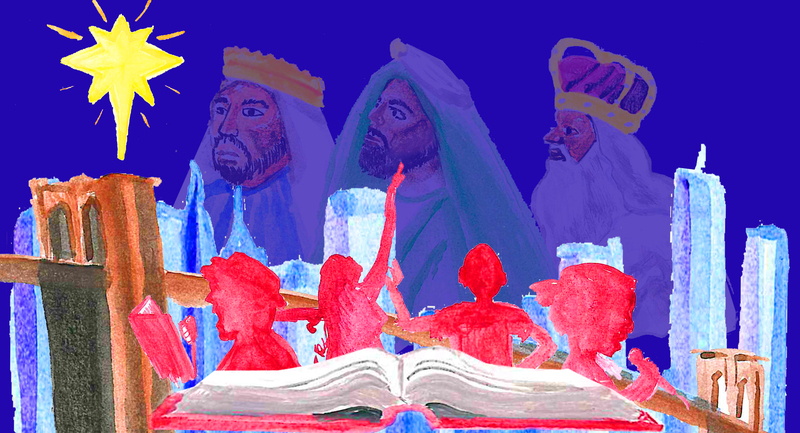 The first public school focused on human rights in the U.S.
Our annual Three Kings Day Celebration returns with two shows (1pm & 5pm) at the Grand Street Campus @ 850 Grand Street, Brooklyn, NY 11211. This year our show “Where Dreams Come True” (Donde Suenos se Hacen Realidad) speaks powerfully to the spirit of our sisters and brothers in Puerto Rico and our solidarity with them as we join Millie and Olivia on their journey to experience the power of love and community that unites us all and gives us the strength to rise up in the face of adversity. In addition to the show, our families will be greeted in the festively decorated lobby by the 3 Kings in full regalia, pose for photos and be given a gift-wrapped book for each child and a “goody bag” for each family. We will be releasing more details in early January, so watch this space! You can also call 718-387-0404 for additional information. The historic Women's March is happening again on Sat, Jan 19th in DC with sister march in NYC, Boston, London & numerous other locations worldwide. 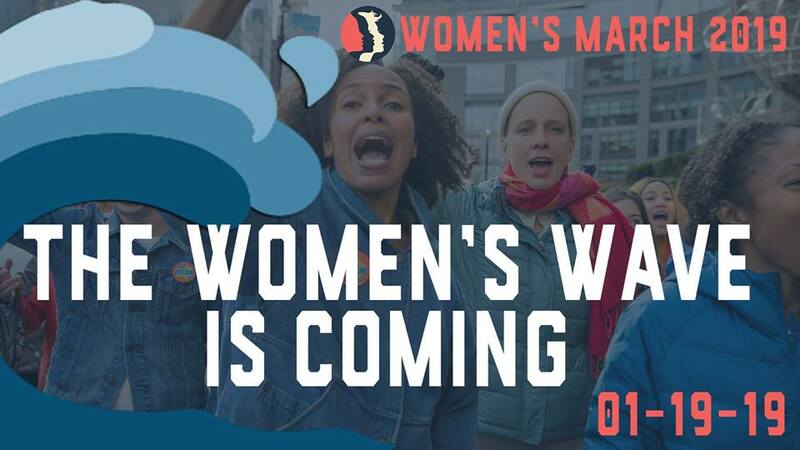 The Women's Wave 2019 is going to be massive and El Puente is gathering a group together to represent El Puente at the march. Note: Must be 18 & older. Any young people under 18 must be accompanied by a parent or guardian. Millions of people attended the last march & experience with marches & rallies is a plus when dealing with big crowds. If interested, please tell your site director or email me at fguevara@elpuente.us. I will help you make bus arrangements & coordinate logistics for the day. Bus & meals not included. Buses are ranging from $35-105 so the earlier you can inform us the better. ¿Estás interesado/a en ir a la “Marcha de Mujeres” en Washington, DC? El Puente está organizando empleados, familias y miembros de la comunidad para ir a la marcha en DC el sábado 19 de enero de 2019.
arreglos de autobús y coordinar la logística del día. El ómnibus y la comida no será incluida. After months of hard work, El Puente S.T.A.R.S. took home the prize in this citywide championship. 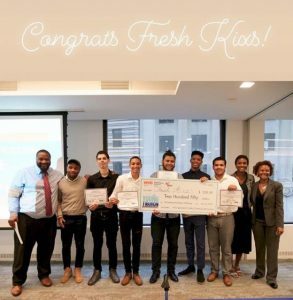 Congratulations to El Puente S.T.A.R.S director Romel Jackson and members Mitchel Bello, Edison Siri, Jan Carlos Martinez, Joshua Lopez, and Jaylen Williams on their win! We want to share with you El Puente's powerful work in Puerto Rico. It was captured and televised nationally on Telemundo and NBC in New York. 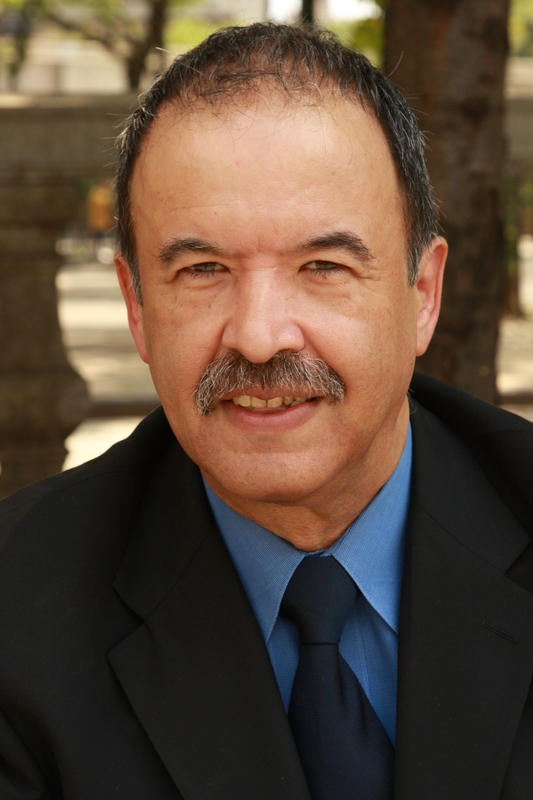 It is with great sadness that we announce that El Puente’s Founder & President, Luis Garden Acosta, passed away on Tuesday, January 8 2019, at his home, surrounded by family and friends. Luis Garden Acosta was an American pioneer of community-driven, human rights activist, as well as a widely-recognized leader in national and international movements for social justice, individual empowerment and community self-determination. He was the Founder and President of El Puente, a nationally celebrated, Brooklyn based, community & youth development organization. Since 1982, El Puente has inspired and nurtured youth leadership to end community violence while organizing for democratic action, healing, and human rights. Founded the Community Alliance For the Environment (CAFE) which, in partnership with United Jewish Organizations of Williamsburg (UJO) and the NY Public Interest Research Group (NYPIRG), overturned the City's planned development of a 55-story trash incinerator in Williamsburg. 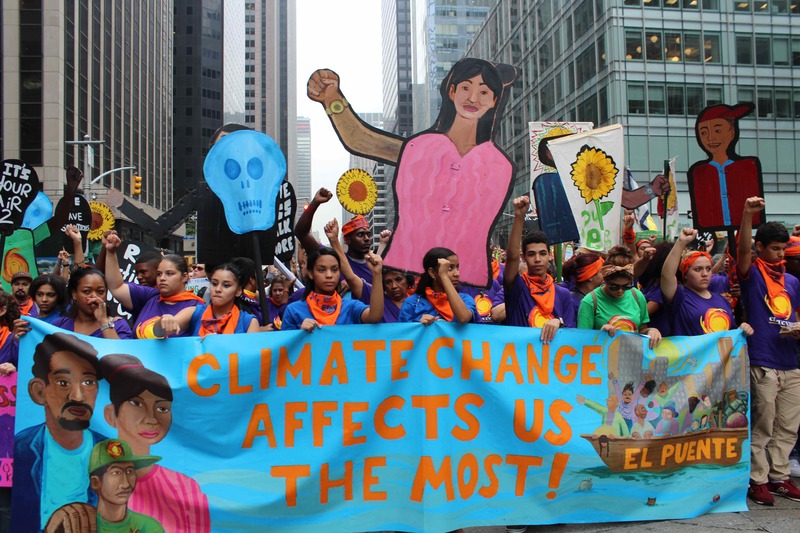 Co-founded the New York City Environmental Justice Alliance. Shut down New York City’s least performing and most violent high school (and wrote the RFP that led to the creation of four smaller schools that replaced it). Spearheaded a month-long, student-led boycott, resulting in the demolition of a wall that segregated children in a Brooklyn public school (P.S. 16). Led New York State’s most successful childhood immunization campaign. Led a historic diverse coalition, CAFE (Community Alliance for the Environment) that brought together the Latino, Hasidic African American, Polish and Italian communities in a successful campaign to limit the activities of a radioactive and hazardous waste storage facility located in Williamsburg. Coordinated a survey of 5,000 Los Sures (Southside) Williamsburg tenants for a three-year asthma study, resulting in the first peer-reviewed, a scientific article written by a community organization ever published by The American Journal of Public Health. Co-founded the Latino Commission on AIDS. 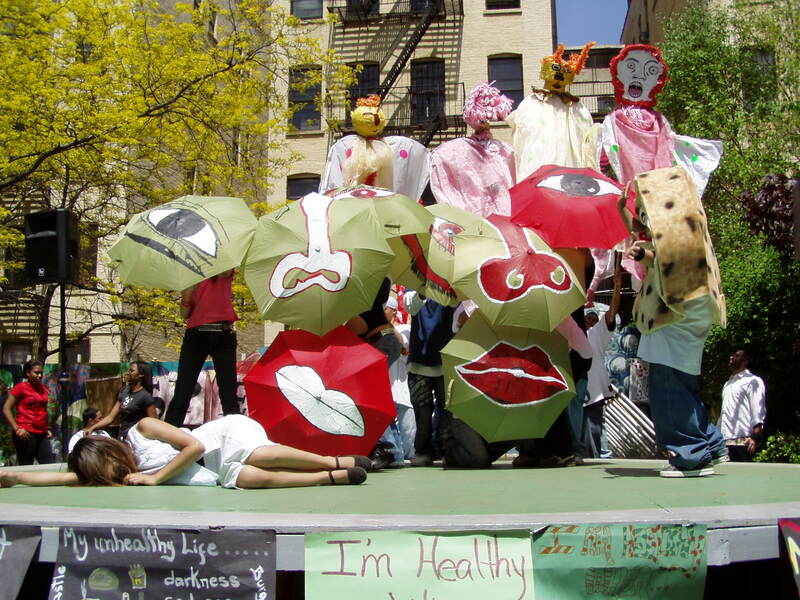 Created the first continuously running HIV/AIDS Adolescent Drama Company in America, Teatro El Puente. Co-founded the U.S. non-violent resistance movement (principally, with direct action at the United Nations) that helped bring an end to the bombing of Vieques, Puerto Rico. Together with Frances Lucerna, Founding Principal, inaugurated the nation’s first public high school for human rights, the A-rated, El Puente Academy for Peace and Justice. Convened and facilitated Puerto Rico’s first Leadership Summit on Climate Change, engaging all sectors of Puerto Rican society and fostering the Governor’s signature on five Executive Orders in support of climate change mitigation, adaptation and resiliency that, taken collectively, lead U.S.
Luis was born in Fort Greene, Brooklyn, in 1945. His passion for social action, ranging from education reform, environmental justice, parks, and open spaces, to community wellness and culture, was rooted in his commitment to the primacy of community and of making whole that which has been torn apart - a legacy of his earlier life as a graduate of St. Mary’s Seminary, a Harvard Medical School student and as a planner and community organizer for New York City’s Office of the Mayor under the Lindsay administration. Guided by Luis’ vision, El Puente (in Spanish “The Bridge”), bridges major initiatives in health, the environment, education, and the arts, incorporating them all in a holistic, goal oriented membership for community members of all ages. One of his greatest and most visionary legacies is the El Puente Green Light District (GLD), now in the 8th year of a 10-year initiative. 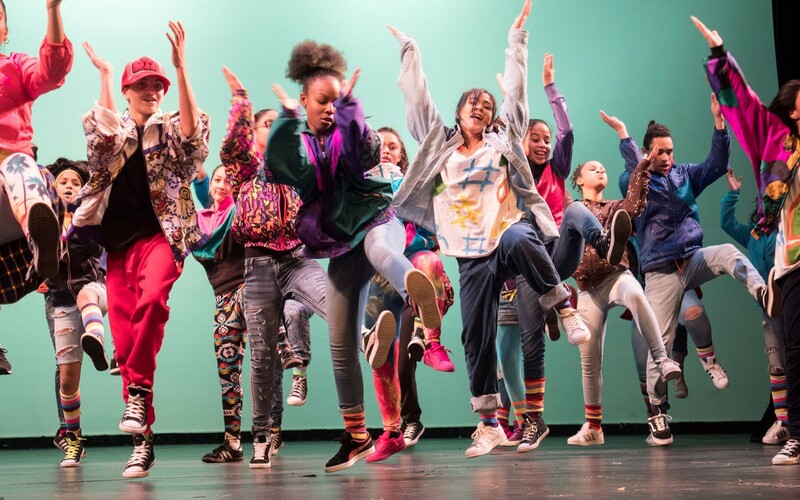 The GLD is a community-led initiative for self-determination engaging, virtually, every family in the Southside of Williamsburg (Los Sures), to vision, plan and create America’s model neighborhood for holistic community health and environmental wellness. 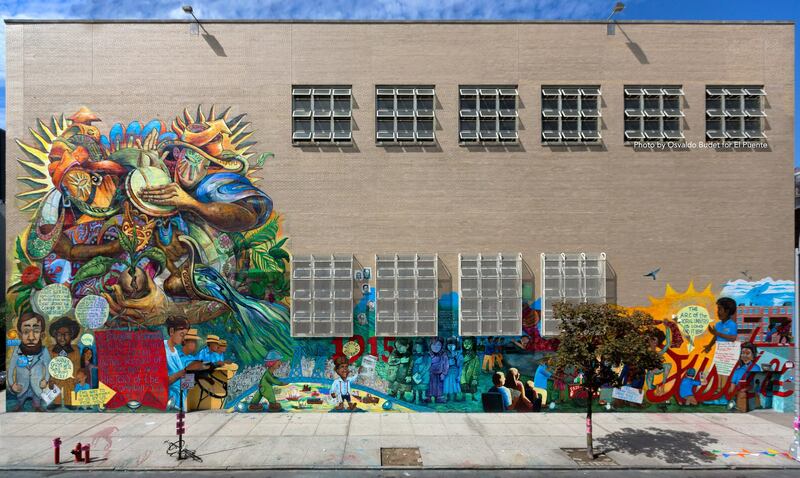 Recognizing that “climate change is the moral challenge of the 21st Century,” Luis saw the opportunity to employ El Puente’s GLD model beyond Brooklyn. 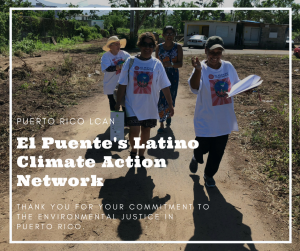 In 2013, Luis led the first dialogue on the climate change crisis in Puerto Rico (drawing over 200 Puerto Rican island leaders including past and present governors and the leaders of various Faith Communities), and launched El Puente’s Latino Climate Action Network (LCAN) on the island. 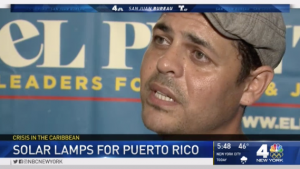 In the aftermath of Hurricane Maria, El Puente LCAN collected and distributed over 40,000 lbs of food and supplies as well as raised funding to purchase and distribute over 12,000 high powered Solar lanterns throughout the island. LCAN continues to develop the holistic GLD model in its ongoing rebuilding work and is a major force for climate change policy. 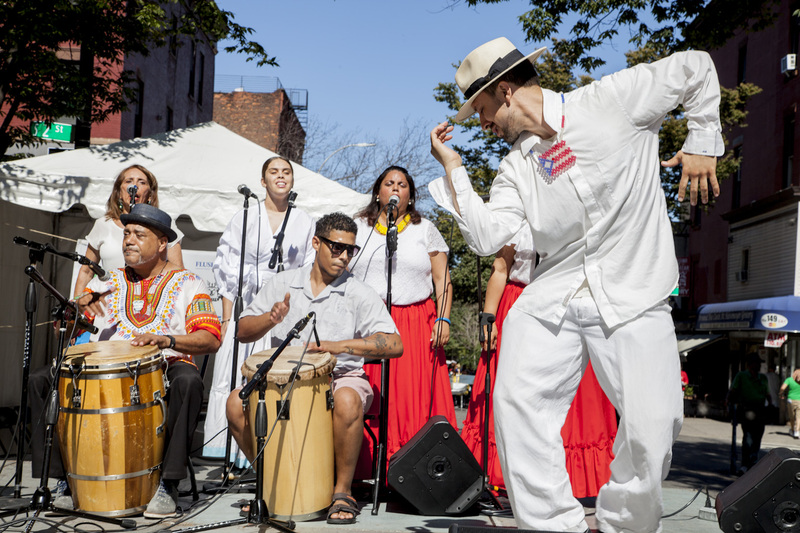 Luis was a modern-day, Latino Renaissance man, directing a statewide humanities program and leading (as Board President) America’s first Afro-Cuban music school, as well as hosting a radio program called “Dr. Salsa’s Medicine Show”. He was dubbed as “America’s Public Health Disc Jockey”. He launched a “university of the streets” program, assisted in the writing of a Surgeon General’s Report on Public Health and Self-Help and was a prime organizer for the launch of the welfare rights movement as well as the founder of the Young Lords Party in Massachusetts. His range of engagement is evidenced in published work from the Fordham Law Journal to the American Journal of Public Health and in his numerous lectures and presentations nationally. He was Vice-Chair of the Citizens Union, founding Chair of Youth Ministries for Peace and Justice, and a leading Board member of New Yorkers for Parks, Just Food, the Latino Commission on AIDS, and the Research Alliance for New York City Schools as well as a former, Gubernatorial appointed member of New York State’s Environmental Board. His many awards include the “Spirit of the City” from the Cathedral of St. John the Divine, The Citizens Action and Public Works Awards and “The Dream of Equality” award from Asian Americans for Equality. Together with his partner, Frances Lucerna, Luis also received the Brooklyn Botanic Garden Forsythia Award, “Celebrating Success” from the Children’s Defense Fund and the 1998 Heinz Award Winner for the Human Condition. Luis is survived by his wife and partner, Frances Lucerna, who is El Puente’s Executive Director, as well as his two daughters, Arianne Garden Vazquez, and Raísa Lin Garden Lucerna. The Garden Acosta family has asked that, in lieu of flowers, those wishing to contribute or to recognize Luis' life and service please make a donation to El Puente. Mayor Bill de Blasio said "Luis Garden Acosta was a tireless community activism, organizer, leader and, most of all, a friend. He never stopped fighting for a more just and peaceful world. Chirlane and I send our most heartfelt condolences to his family, loved ones and all those he inspired." U.S. Representative Nydia Velazquez said "I was heartbroken to hear of the passing of Luis Garden Acosta. The founder of El Puente, he was a steadfast champion for civil rights, education, our young people and a stalwart advocate for addressing climate change." We invite everyone to celebrate Luis’ life and spirit, in the very place that he created for us to come together as community. Come to El Puente for the Community Gathering this Friday, Jan. 11 between 3 pm to 8 pm at 211 S. 4th Street in Williamsburg, Brooklyn. On Saturday, Luis’ funeral mass will take place at Transfiguration Roman Catholic Church starting at 9:30 AM at 263 Marcy Avenue in Brooklyn. Join us at El Puente's 32nd annual Three Kings' Day celebration, where we will also honor and celebrate Luis’s legacy, with two shows next Sunday, January 20th at 1 pm & 5 pm, at Grand Street Campus located 850 Grand Street, Brooklyn, NY 11211. 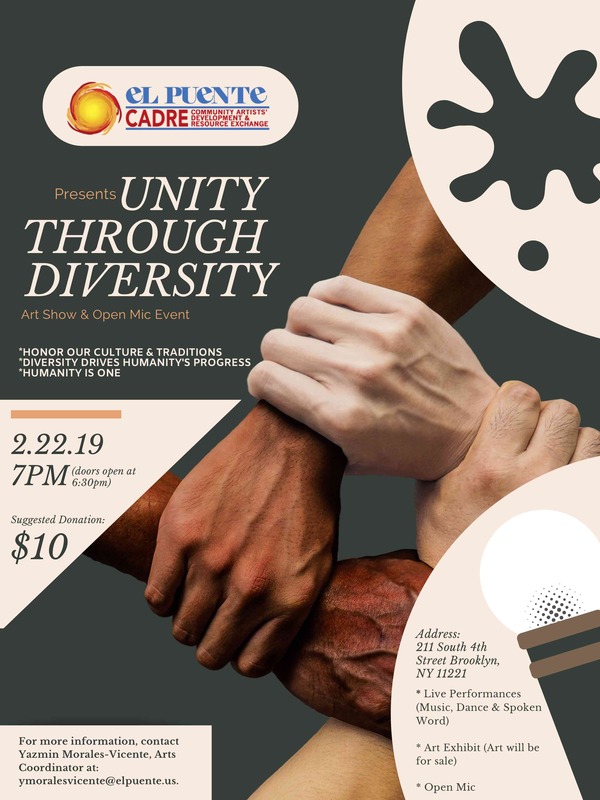 This is a ticketed event, please pick your free tickets in advance at El Puente Headquarters 211 South 4th Street Brooklyn, NY 11211 or El Puente Bushwick Center located at 311 Central Avenue Brooklyn, NY 11221. For more information call Yolanda Ramirez, Executive Associate/Office Manager at 718-387-0404. A public memorial will be planned in the coming months, and details will be shared in the coming months. ***Understanding the limited capacity of the funeral home and burial site, The Garden-Acosta-Lucerna Family, kindly & respectfully asks for you to consider attending only the public events listed above. Want to get updates about us? Subscribe to our Email! 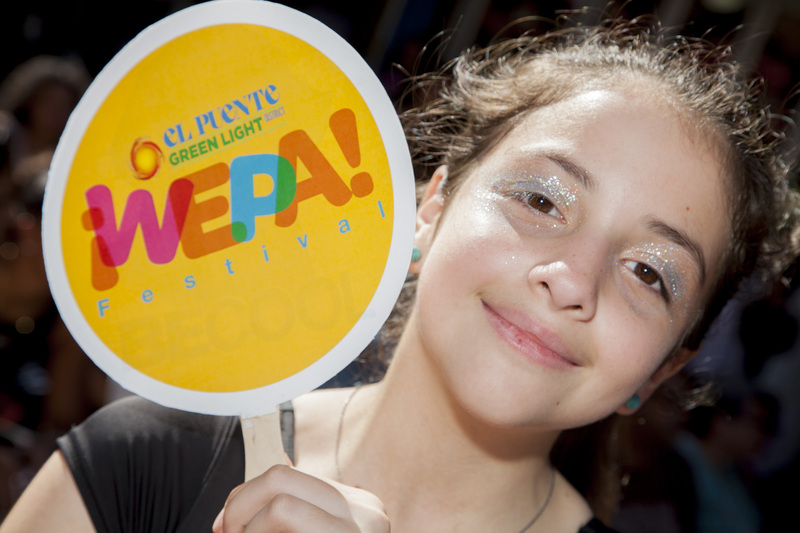 Keep up to date on our events and accomplishments!